I recently wished the little girl I used to babysit a big happy birthday on Facebook. A big happy 28th birthday. Gulp. How can that be? It feels like just yesterday we were playing together with her Teddy Ruxpin doll and watching Saved By The Bell after she got home from school. This little girl all grown up, Amy, is a very interesting grown up--smart, creative, loves her family. She thanked me with this message: Thanks! I know!!! It seems like just yesterday we were building tee pees in the backyard!! I hope all is well with you and your family!! Awww, she remembers. I babysat Amy and her brother when I was in high school and college. I loved taking care of the kids and playing with them. I loved talking to Susan and Jim, the kids' parents. I grew up with all of them. The whole family took me out to dinner when I graduated from college. We've stayed in touch thanks to Facebook and old-fashioned letters on the holidays. Taking care of Amy and her brother gave me a glimpse of the mother I wanted to be. A mother that got down on the floor and played with the kids, a mother who the kids could talk to and laugh with, a mother the kids could rely on to keep them safe and protected. Looking back, I am so grateful to this family. Susan, the mother, my boss, was such a compassionate person. She asked me questions about my life, really took an interest and gave some great advice. She treated me like a member of her family. Now, as a mother to four children of my own, I understand even more how special these relationships are with good, caring babysitters. When you find someone that really, truly loves your kids, it's a powerful thing. When you find someone that doesn't mind coming over when your house is a mess and understands when one of your kids is having a temper tantrum filled evening, it's a relief. When you find someone that makes your kids laugh, helps with their homework, does the cool pony tail braid from YouTube that you have no idea how to do (even after watching the so-called easy online tutorial), is flexible and doesn't get mad when you change the time to come over 238 times because you are a little overwhelmed with life and unorganized, maybe unloads the dishwasher, puts your kids to bed happy and thinks it's funny when the toddler is going through a phase where he licks furniture....yeah, when you find that someone it's amazing. Those sitters aren't just a part of the great village that helps us raise our children, they are part of the family. Chelsea is our sitter family member. Our kids love her, she is kind, understanding, fun and we all love her. Do you have a special babysitter you and your kids love? Sittercity is looking for the best of the best to win its 2013 America's Top Sitter contest. Your favorite sitter could win $5,000. Yeah, $5,000! Can you think of a better way to say thank you for everything they do for your kids and for you? 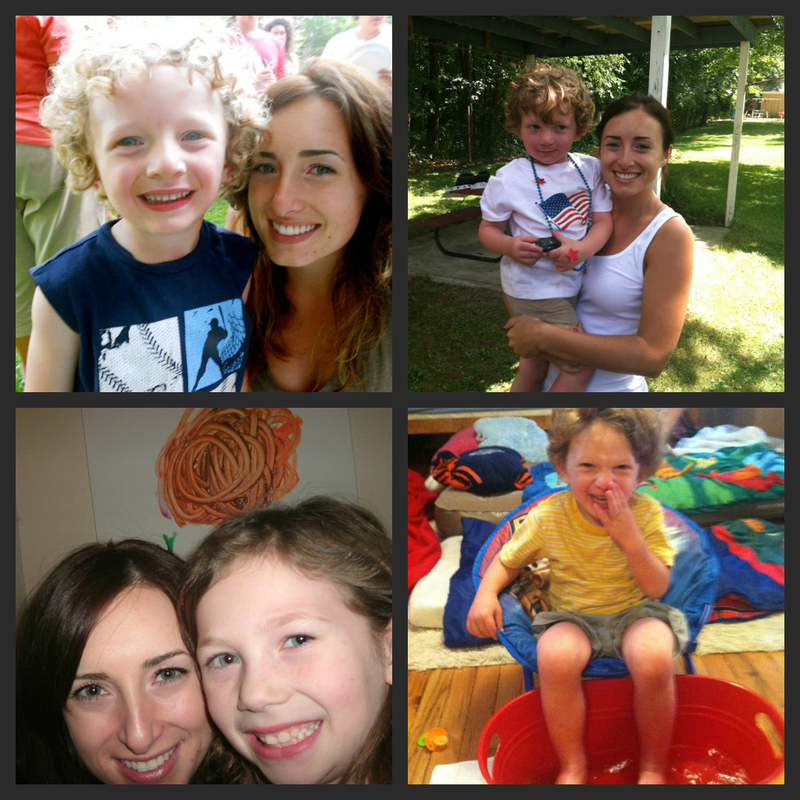 All you have to do is click on this custom Facebook app http://clvr.li/12uCnhB and nominate a sitter by uploading a picture and briefly explaining why they should be Sittercity's 2013 America's Top Sitter. That's it! So simple. A panel of experts will choose 10 finalists vetted by Sittercity and the final winner will be chosen by the Sittercity Facebook community. The nomination period ends soon, on February 25th. Voting takes place March 5th through March 15th. Go nominate, go vote!